Following on from 2015’s Healthcare Reform, Quality and Safety: Perspectives, Participants, Partnerships and Prospects in 30 Countries, this book encompasses a global perspective on healthcare while shifting the focus from reform to showcasing success stories of healthcare systems worldwide. It provides explanations of why various facets of healthcare systems work well in different contexts and offers the reader alternative models for consideration. 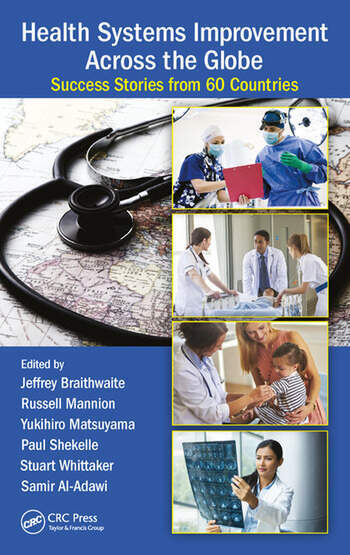 The book features contributions from 60 countries, going much further than the common practice of focusing on affluent Western nations, to provide a comprehensive exploration of the success of healthcare systems globally. The majority of literature on health-sector improvement attempts to address the problems within systems, relating the errors that can and do occur, for example, and offering solutions and preventative strategies. This book of country case studies will approach the enhancement of health systems, patient safety and the quality of care in a new and innovative way, comprehensively surveying and synthesizing the success stories of healthcare systems around the world, utilizing Hollnagel’s Safety-II approach to acknowledge the importance of exploring what goes right, what works well, and why it works. These success stories may include reference to macro, meso or micro levels of healthcare systems, various sectors (e.g., aged care, acute care or primary care), or specific programs or projects. Health System Improvement Across the Globe: Success Stories from 60 Countries is unprecedented in terms of both reach and positive emphasis, and as such will be instrumental in changing ways of thinking about and guiding health-sector improvement. 27 The Netherlands: Patient Safety in Dutch Hospitals: How Can We Explain Success? Professor Jeffrey Braithwaite is a leading health services and systems researcher with an international reputation for his work investigating and contributing to systems improvement. He has particular expertise in the culture and structure of acute settings, leadership, management and change in health sector organisations, quality and safety in health care, resilient health care, accreditation and surveying processes in international context and the restructuring of health services. Professor Braithwaite is well known for bringing management and leadership concepts and evidence into the clinical arena and he has published extensively (more than 400 refereed contributions, and 600 total publications) about organisational, social and team approaches to care which has raised the importance of these in Australia and internationally. He has presented at or chaired international and national conferences, workshops, symposia and meetings on more than 600 occasions, including over 70 keynote addresses. Theories and ideas he has helped shape, formulate or devise, and provided research findings for, are now in common use as a result of his work: multi-method, triangulated approaches to research, the boundary-less hospital, accreditation models in general practice and beyond, clinician-managers as key players in reform initiatives, fundamental principles for the governance of health systems, diversity in clinical professional groups, inter-professional learning and culture change rather than restructuring as a more sustainable strategy for reform. His empirical results have exposed the distinctive attitudes of clinical professional groups, how clinician-managers enact their leadership responsibilities, the relationships between efficiencies and structural type of teaching hospitals, the behavioural displays of clinicians in service structures and the status of system-wide patient safety improvement initiatives. Professor Braithwaite is the recipient as at 2014 of career research funding of $59.85 million spread over 62 grants; total new research funding and grants in the last five years amounts to $40 million; more than 80% of this grant funding is category one, peer-reviewed, chiefly ARC and NHMRC funding. He referees for 30 journals and the health research bodies of Ireland, New Zealand, Switzerland and the United Kingdom as well as for many international conferences and symposia. He publishes in the leading journals in three convergent fields and thus expresses his work at a unique intersection of organisational studies, health services research and clinical care. Journals he contributes to include the British Medical Journal, The Lancet, PLoS Medicine, Journal of the Royal Society of Medicine, Health Services Management Research, BMJ Quality and Safety, International Journal for Quality in Health Care, Social Science & Medicine, BMC Health Services Research, International Journal of Health Planning and Management and Journal of Health, Organisation and Management. His books include Resilient Health Care (edited with Erik Hollnagel and Bob Wears, Ashgate, 2013) The relevance of everyday clinical work (edited with Bob Wears and Erik Hollnagel, Ashgate, 2015) and Culture and Climate in Health Care Organisations (edited with Paula Hyde and Catherine Pope, Palgrave Macmillan, 2010).